The moment I saw A Child of Books, I thought “That’s so Oliver Jeffers” as it reminded me of How To Catch A Star, and lo and behold, so it is! 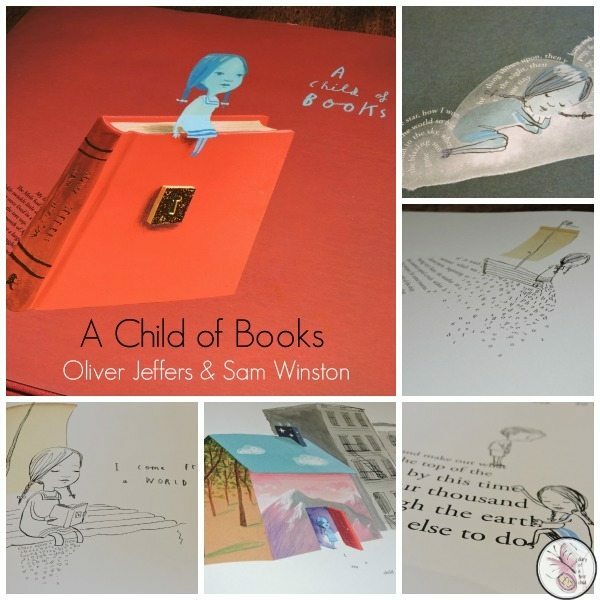 A Child of Books is the latest book by author-illustrator Oliver Jeffers and typographical artist Sam Winston. 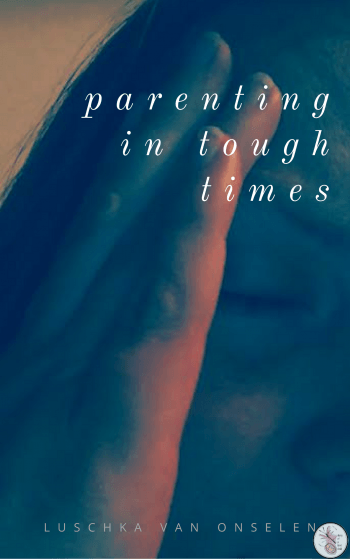 If you have a book lover, (Think Matilda, Roald Dahl) then this is the perfect book for you. A Child of Books is a lyrical tale of a child who sails ‘across a sea of words’ to arrive at the house of a small boy. They go away on an adventure, unlocking imagination and magic, traversing mountains and forests, fleeing monsters and sleeping in clouds. They go out in space and circle the world – all from their house of invention & imagination. The writing of the actual story is in Jeffers’ handwriting style, floating around the page, forming part of the images, rather than standing out against them. Interestingly, he mixes cursive with loose writing, capitals with upper and lower case, and uses minimal punctuation, so the reading itself is quite the adventure. The typographical art is stunning. I’ve only ever really seen it done in Winnie the Pooh, and briefly in the Matilda movie. The waves that the ‘child’ sets sail on, someone reading a ‘Serious Stuff’ newspaper, a path of letters, a mountain of words, branches made from strings of words and a word-monster, clouds of words – all made up of excerpts from such stories as Treasure Island, Little Women, Alice’s Adventures in Wonderland, Swiss Family Robinson, Gulliver’s Travels, Twenty Thousand Leagues Under the Sea, and many more. It’s really quite imaginative, and I’ll admit it inspires me! We were inspired by this book to investigate typographical art a little more. I loved the idea of exploring this art form a little with the girls, so we decided what type of picture we’d like to draw based on what magazines we had around (no point trying to do a typographical piece on flowers if all you have is car magazines!). Ameli drew a toadstool village, so we chose Jamie and the LEGO Elves magazines to cut words from, and Aviya wanted a tree, so we used the Woodland Trust magazine. 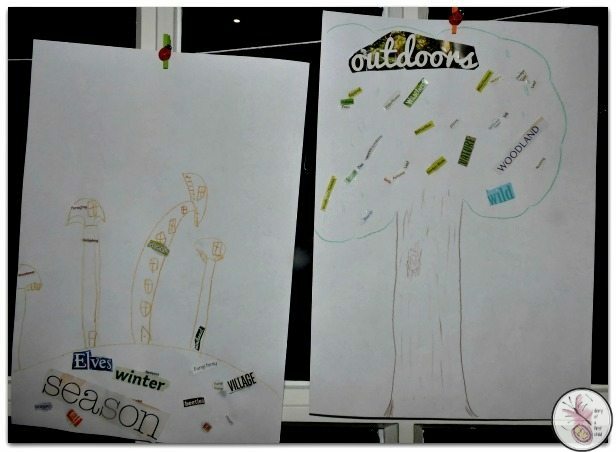 Cut keywords out and use them to emphasise the picture – Aviya’s tree had woodland themed ‘leaves’, while Ameli’s toadstool village was embellished with fungi & fairy themes. Obviously these are very basic, but a fun way for little ones to engage in this book! Oh, and do yourself a favour – take the dust jacket off: the linen-covered front and back covers hold a beautiful little secret of their own.